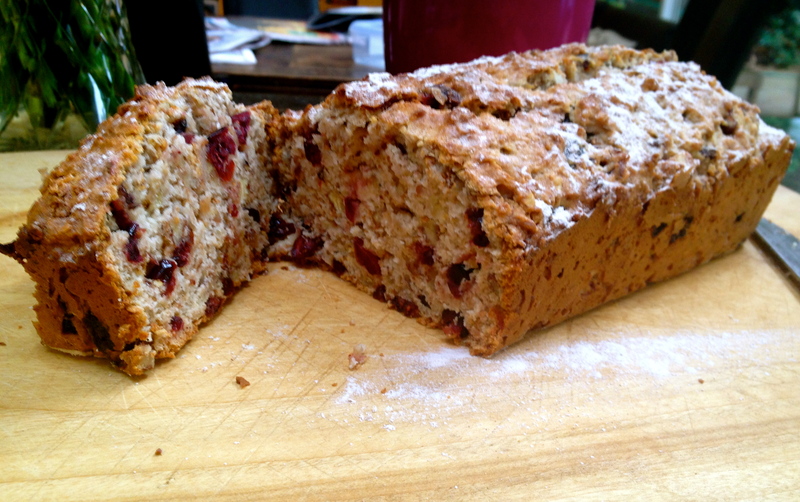 Rainy Saturday’s call for one thing only: a sweet cup of tea accompanied by a humble bake. 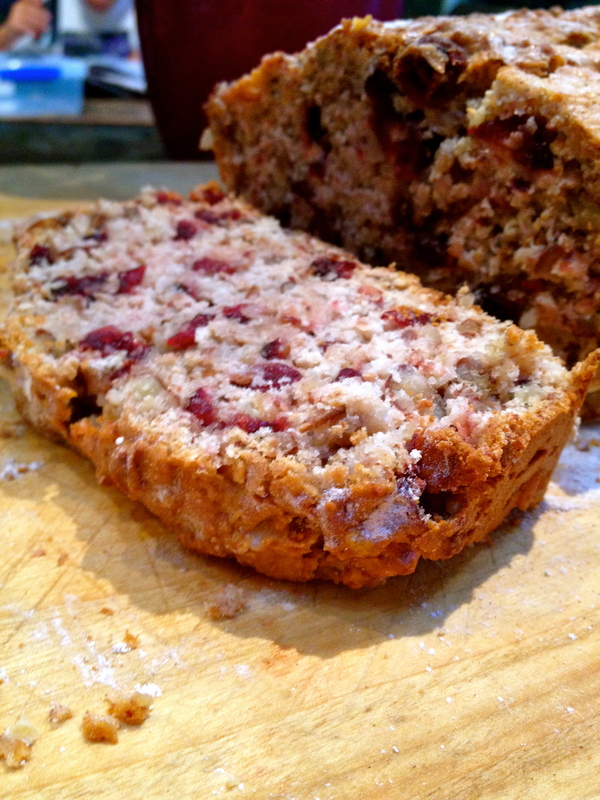 Today on the menu is my scrumptious fruit and nut loaf. Light, tasty and plentiful. Just perfect for the whole family. 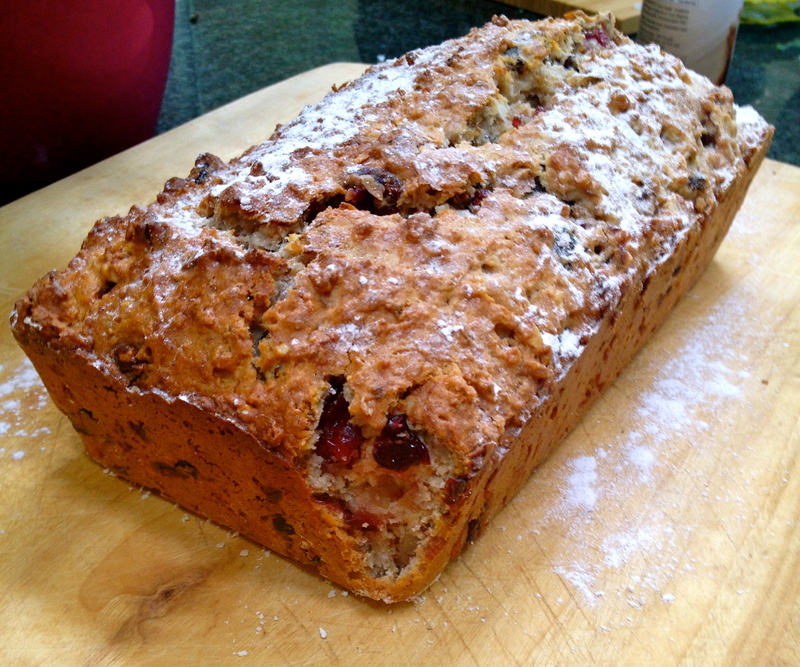 Before we begin preheat the oven to 180 degrees, cover a loaf pan with cooking spray and then lightly dust with flour. Start with the Pecans and the Coconut. Just whip out a pan and toast off the nuts on low heat. Once they’re looking crisp and smelling divine, take them off the heat and chop them up till they reach a crumb consistency. Now it’s time to get physical! Mash the bananas until they are ooey and gooey. Then mix in the dried cranberries. All your prep is done now so it’s time to move on to the dry ingredients. Whisk to combine flour, baking soda and salt in a bowl. 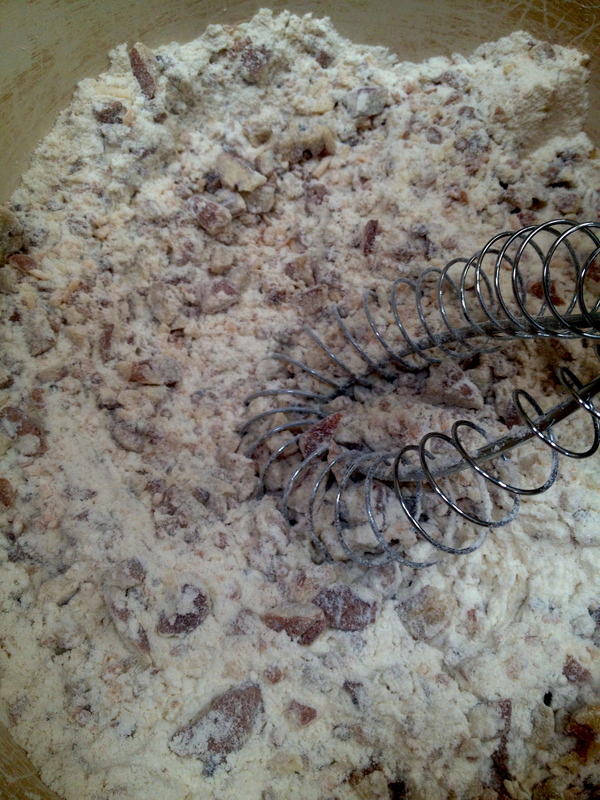 Add in coconut and pecan mixture and whisk to combine. Now, place mashed bananas and sugar in a large bowl and mix with a spatula or an electric paddle attached mixing bowl until combined. Then add your egg and buttermilk and mix well. Using a sturdy spatula, fold in dry mixture. Finally, Pour batter into prepared loaf pan, sprinkle with cinnamon sugar and bake for about 50 minutes or until toothpick inserted in the center comes out with moist (not wet) crumbs.